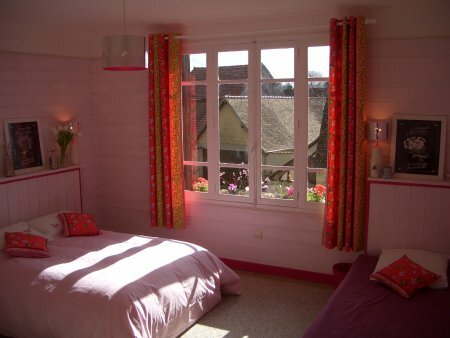 The Peony Pink guest room at Forest Farm Bed and Breakfast in Giverny area. 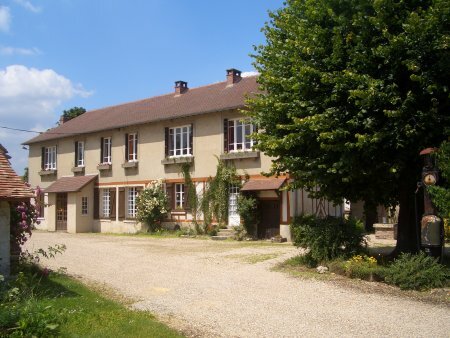 Forest Farm is situated in Bois-Jerome, a countryside village bordering the forest of Vernon, only 4km from Giverny (Monet's home and gardens and the Museum of Impressionisms) and half way between Paris and Rouen. 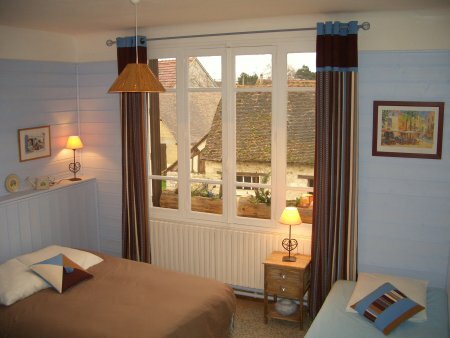 Forest Farm is an ideal haven for families or friends that require accommodation in an intimate and relaxed environment, also suitable for longer visits. Your hosts Maria and Carl will do everything possible to make your stay comfortable. 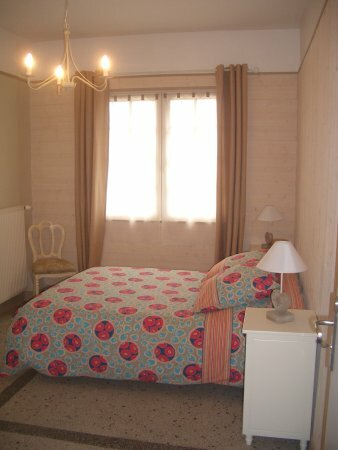 Self-catering or B&B, one can choose between either a little studio or four en-suite bedrooms stylishly decorated. 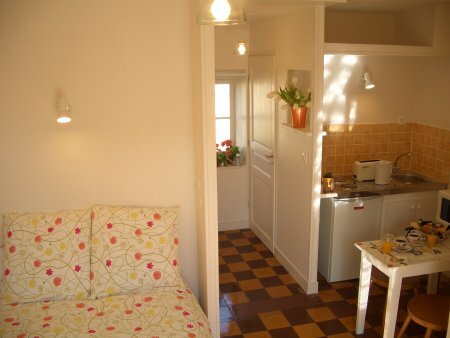 Self catering formula (no breakfast but kitchen facilities at your disposal): 25€/pers/night.